Among the greatest hurdles to successful international litigation is the diversity of legal systems in use by the world’s more than 150 nations. Although those hundreds of systems differ greatly, their roots and differences can be traced to two distinct sources: the English common law, which has evolved over a millennium, and the Napoleonic Code, which dawned at the turn of the 19th century. Common law systems have evolved primarily in England and its former colonies, including all but one US jurisdiction and all but one Canadian jurisdiction. For the most part, the English-speaking world operates under common law. The tradition began with the Norman Conquest in the 11th century. Civil law systems, conversely, are in place throughout the vast majority of the non-English speaking world, and are also found in Louisiana and Quebec. Civil systems owe their existence to the Napoleonic Code, which revolutionized the law by establishing methodical administration of justice based on extensive, written rules. Adversarial. Lawyers ask questions of witnesses, demand production of evidence, and present cases based on the evidence they have gathered. Inquisitorial. Judges, not lawyers, ask questions and demand evidence. Lawyers present arguments based on the evidence the court finds. (3) administrative rules promulgated under authority of statute. Statutory (code) language is often open to broad interpretation, and is not as extensive in reach as in civil law systems. Legal interpretation relies on the doctrine of stare decisis, (Latin: “stand by that which has been decided”) to influence the law’s application in cases before a court. As such, judges are viewed as the “sages” of the law. Law comes, primarily, from a statutory code, and judges apply code language strictly. Court opinions do not carry the precedential effect that common law opinions do. Rather, the specific wording of statutory text is applied to individual cases. Because precedent is merely informative, rather than binding (or even persuasive), scholars & academicians are considered the experts on legal interpretation. Judges decide matters of law and, where a jury is absent, they also find facts. Most judges rarely inquire extensively into matters before them, instead relying on arguments presented by the parties (lawyers) in a case. As common law systems are adversarial, the judge is understood to be a neutral party, taking a position on a factual matter only when no jury is present — and then, only at the conclusion of a case. For guidance in deciding a matter of law, judges rely primarily on precedent, and to a far lesser extent, academic treatises. Generally, only highly experienced lawyers become judges, and they are respected as high-level officials. Judges in civil law systems act as inquisitor, interpreter of code language, and finder of fact, in many instances sitting on juries themselves. They rely less on precedent than on commentary by legal scholars. Civil system judges often join the bench soon after becoming licensed as attorneys — in many ways, they are mere hearing officers, and are viewed as bureaucrats, rather than important officials. 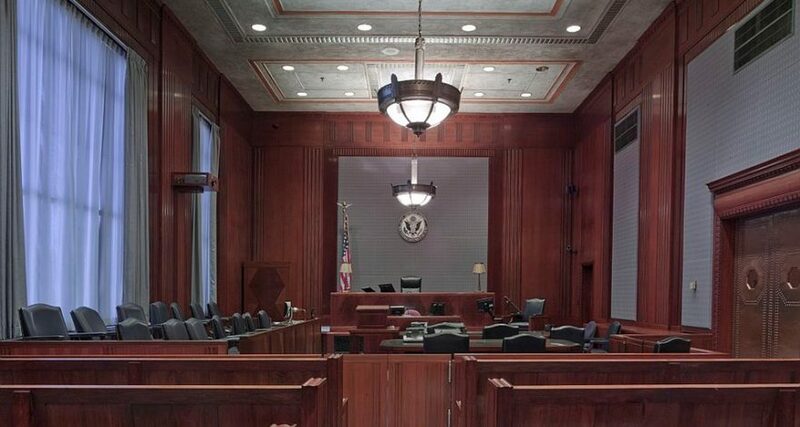 Juries are comprised only of laypersons — never judges and, in practice, only rarely lawyers — and are rarely employed to decide non-criminal matters outside the United States. Their function is to weigh evidence presented to them, and to find fact (that is, decide what happened in a case). In criminal matters, they are often asked to determine the severity of an offense in determining a sentence. Juries are present almost exclusively in criminal cases, and are virtually never involved in civil actions. They widely include judges, to ensure that their decisions are guided more by law than passion. Service of process is viewed very liberally, and can often be effected by any adult non-party to a case. Although sheriffs and their deputies can be used, laypersons are often involved — particularly professional private process servers. Service of process is generally a sovereign function, so its execution is reserved to judicial officers, such as bailiffs known as “hussiers de justice” or “deurwaarders”. Private process servers are virtually unknown. Widely understood to be a necessary part of the litigants’ effective pursuit or defense of a claim. Litigants are given wide latitude in US jurisdictions, but more limited outside the US. In any event, the litigants and their lawyers undertake to ask questions and demand evidence. Evidence demands are within the sovereign inquisitorial function of the court — not within the lawyers’ role. As such, “discovery” by foreign attorneys is dimly viewed, and can even lead to criminal sanctions where the court’s role is usurped. As common law traditions embrace more administrative law functions (not all things go to court), and as civil traditions confer more precedential power on their courts (and thereby reduce the need for legislation), the lines are becoming blurred. Notably, the convergence is driven in large measure by the United States — as the world’s largest economy, the US is a center of commercial litigation, so practice in the US drives corporate policy and behavior worldwide. Civil traditions are adapting (to varying degrees) to take a more American view of commercial law. If you require litigation support, contact Legal Language Services for a free consultation. * This comparison is merely a broad overview of the differences between common law and civil law traditions. Due to the necessity of generalization, readers are cautioned that no firm conclusions should be made with regard to specific countries.